Newsletter about nutrient stewardship - European Sustainable Phosphorus Platform (ESPP). Phosphorus and nutrient recycling and management in Italy, the Mediterranean region and in EU research, development and innovation. ESPP and the EU Horizon 2020 project SYSTEMIC are collecting data, scientific reports or other relevant information to input into the EU study launched on (nitrogen-containing) recycled nutrient products produced from manures. This study aims to inform the European Commission as to which products might be exempted from limitations applicable to “manure in a processed form” under the Nitrates Directive. Objectives of this study are summarised below (SYSTEMIC workshop article). Submission of existing data or publications on nutrients or contaminants in runoff or groundwater following application of manure, processed manure or biosolids – by 29th July latest – to SYSTEMIC and ESPP If product or trial information is confidential, please contact these emails so that we can arrange direct transfer under confidentiality agreement to JRC. The European Commission (Joint Research Centre, JRC) has published a call for field testing sites to sample and analyse drainage/runoff waters following applications of manure (or compost, digestate, etc from manure). The activity can be embedded into ongoing field trials. JRC will cover full costs of sampling: 5 - 10 litre samples will be required, from ground and surface water, samples will be collected, stored and shipped according to JRC specifications and with supplied sampling equipment. JRC will ensure analysis and data evaluation. This is part of the JRC study to support DG Environment work on “manure in a processed form” under the Nitrates Directive. JRC’s stated objective is to assess possible risks of veterinary medicinal products (VMPs), including anti-microbial resistance (AMR), veterinary antimicrobial agents (AMA) and biocides (used for stable disinfection) following application of manure and processed manures. JRC considers that there is a data gap on the drainage of nutrients which have been irrigated with wastewater or fertilised with animal manure (or derived biosolids, such as compost or digestate). It would seem appropriate to also collect samples of the applied manure/biosolids, and to have ‘control’ fields (without application), but these are not specified in the JRC call. Given that the JRC call identifies a data gap, it would also be appropriate for any party having relevant existing data to JRC – email below (data or publications on nutrients and contaminants in runoff/ground water following manure or biosolids application, in particular for VMPs and AMR). Analysis of such existing data could, presumably, modify JCR’s specifications for possible field sampling. ESPP is organising a stakeholder meeting to discuss the EU Fertilisers Regulation and STRUBIAS, 5th September 2018, all day in Brussels. The meeting will update on trilogue progress on the Fertilisers Regulation and outstanding issues, questions around implementation, accompanying standards. The meeting will include a webinar with JRC, 14h00 – 15h30, to discuss the draft final STRUBIAS report proposing EU Fertiliser Criteria for recovered phosphate salts and struvite, biochars and pyrolysis materials, and ashes (used directly as fertilisers, or used as ingredients in fertiliser production processes). 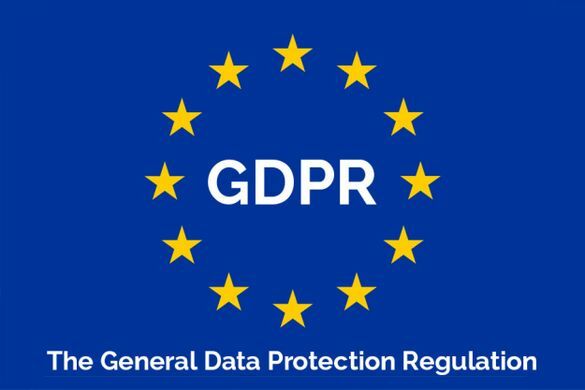 This will enable preparation of the final STRUBIAS Working Group meeting, 25-27 September (closed meeting, STRUBIAS WG members and Member States only). Wednesday 5th September 2018, Brussels, 9h00 – 17h15. The third European Sustainable Phosphorus Conference (ESPC3), co-organised by BSAG and ESPP in Helsinki, 11-13 June was a success. Nearly 300 participants from 30 countries, significantly increased from ESPC1 (Brussels 2013) and ESPC2 (Berlin 2015). Highlights included input from the European Commission (DG Environment and DG Research), Finland national government (ministries of the Environment and Agriculture and Forestry). international organisations (HELCOM, Rhine Commission), company and nutrient management success stories. An active discussion addressed proposals for including nutrients in the next EU R&D funding programme (Horizon Europe, which will follow on from Horizon 2020). With UN-Environment support, the “Global call for a science initiative on phosphorus” was launched, please participate by signing at www.opfglobal.com. A full summary of the ESPC3 conference will be published in coming months in ESPP’s SCOPE Newsletter. The ‘All Ireland Phosphorus Sustainability’ workshop, Belfast, Northern Ireland June 2017 (see SCOPE Newsletter n°125) collated stakeholder information from a range of sectors, spanning the wastewater treatment sector, the agri-food industry, regulators and academics. This workshop has led to further funding from the Irish Environmental Protection Agency, under their UN Sustainable Development Goals (SDG) programme, to National University of Ireland (NUI-Galway) and Queen’s University Belfast (QUB), to forward the objective of establishing a ‘Nutrient Sustainability Platform’ on the island of Ireland. The Platform will seek to: (1) Promote the sustainable use and recovery of nutrients, focussing initially on phosphorus, and laterally on other co-recoverable value added materials from waste streams e.g. nitrogen, biogas, biofuels (hydrogen), volatile fatty acids; (2) Bring together representatives from the agri-food industry, wastewater treatment sector, government institutions, regulators, technology providers and academia from both the Republic of Ireland, Northern Ireland and internationally, to identify challenges (current and future), inform policy, develop solutions, share good practice and promote holistic, joined-up, thinking in terms of SDG implementation and nutrient sustainability on the island of Ireland; (3) Coordinate information sharing both nationally and internationally though liaison with cognate sustainability platforms; (4) Create research collaborations within Ireland and internationally; (5) Raise awareness of sustainability SDGs, and their solutions, within government, the agri-food industry, and waste treatment sectors at a national level. In 2017, the Canton of Zurich started a cooperation platform between parties interested in implementation of the Switzerland phosphorus recycling obligation (Ordinance on Prevention and Disposal of Waste VVEA, 2016, which requires P-recovery from sewage sludge incineration ash by 2026, see SCOPE Newsletter n°118). This Platform includes operators of wastewater treatment plants and of sewage sludge incineration plants, covering over 60% of total Swiss sewage sludge arisings, as well as concerned industry federations, and works closely with BAFU and OFAG (Swiss Federal Offices for Environment and for Agriculture). The objective is to provide operators with information to support decisions on P-recovery routes, technologies and investments. The platform has jointly prepared and conducted a “Process Technology Market Analysis for phosphorus Recovery from Wastewater” (VTMA), coordinated by Hollinger SA. At the end of May a final report was published. This notes that Swiss sewage sludge contains 6 000 tP/y of phosphorus, compared to current Swiss mineral fertiliser consumption of 4 200 tP/y. The platform invited technology suppliers with recycling-processes that complied with defined invitation-criteria. Seven potential suppliers participated at the analysis and have been evaluated through questionnaires and a hearing: Budenheim (ExtraPhos), CIMO (Sepholix), Ecophos, EuPhoRe, Técnicas Reunidas (Phos4Life), ZAB and CTU (Pyrophos – FiBL project). ICL Fertilizers (Recphos-and TENOVA-Bateman Process) and Remondis (Tetraphos®) were contacted but did not participate. Of the participating supplies, Ecophos (220 000 t/y factory under construction in Dunkerque, France) and Phos4Life have full scale or industrial pilot P-recovery plants under construction (to produce technical phosphates from ash or phosphoric acid, respectively). ZAB plans a full scale plant producing triple superphosphate from ash at Bazenheid, but this ash is produced from a mixture of animal by-product ash plus sewage sludge, so has specifically high phosphorus content. EuPhoRe does not produce a product conform to Swiss regulatory requirements for a fertiliser. The Budenheim (ExtraPhos) process today only recovers around 30% of phosphorus, insufficient to respect the expected Swiss P-recovery legislation. Costs for the different processes are today unclear, because of lack of full scale references, different level of details and varying system-boundaries, but are estimated at around 300 – 600 CHF per tonne of ash, or in the range of 2 000 to 5 000 CHF/tP recovered (net after accounting for recovered P sales). This would represent around 5 CHF/person/year, or 2-3% of municipal total waste water treatment costs in Switzerland. The report underlines the need to recover phosphorus as a saleable product, either a technical P chemical or a fertiliser respecting the Swiss fertiliser regulation requirements (MinRec). The report concludes that promising technologies are available for P-recovery, that their current level of development is insufficient to take investment decisions for sewage treatment operators today, but that hopefully this information will be available within two years. The AMTP Platform parties recommends to sewage works operators in Switzerland to work together to put into place treatment routes to achieve the Swiss P-recycling legislation within the 2026 deadline and urges the Federal Office for the Environment to clarify the % P-recovery to be required under this legislation, and also to define under what conditions P-recovery can take place outside Switzerland. The AMTP Platform welcomes further partners to participate in and co-finance continuing work. A 22-page US review paper assesses key manure processing routes for dairy manure, looking at overall process not specific technology suppliers, indicating for each route: estimated processing costs (ranges for CAPEX and OPEX), avoided costs (sale of recovered product, avoided transport costs based on a scenario taking into account volumes and nutrient contents), volume reduction and percentages of nitrogen(N) and phosphorus (P) removed/recovered. Costs are based on Newtrient data from a number of technology suppliers (see SCOPE Newsletter n°125) and other publications. Processing routes assessed are: primary solids separation, advanced solids separation, struvite precipitation, nitrification/denitrification, ammonia stripping and recovery, membranes, evaporation. Conclusions note that many of these routes are still nascent, new technologies enabling nutrient recovery in saleable forms can be expected to emerge (so with possible revenues to offset costs), progressing implementation will lead to better data on performance and costs and that policy initiatives such as nutrient trading markets may prove important to stimulate adoption. The IWA (International Water Association) phosphorus (P) recovery seminar included presentations of six phosphorus recovery processes (EasyMining Ash2Phos, Ekobalans and Suez PhosphoGreen struvite recovery processes, Helsinki RAVITA, Outotec AshDec and EliquoStultz Pyreg. Two presentations also discussed the potential for phosphorus recovery by sludge gasification or incineration (TK Energy, Sülzle Kopf, RISE) as well as overviews of P-recovery processes and of requirements for recovered products as fertilisers (FHNW, TU Vienna, KWB, RISE). Biofos, Copenhagen are looking for a solution to recover phosphorus from landfilled sewage sludge incineration ash, and RISE Sweden is planning to set up a common testbed to compare technologies and phosphorus recovery solutions (similar to the VTMA Platform in Switzerland, see in this Newsletter). Presentations are available online in English. The H2020 projects SYSTEMIC and AGROCYCLE organised a joint workshop in Brussels, 30th May, with participation of the European Commission, to discuss input to the Commission (JRC) study now launched to propose criteria for when nitrogen-containing recycled nutrient products produced from animal manure should no longer be considered to be “manure … in a processed form” under art. 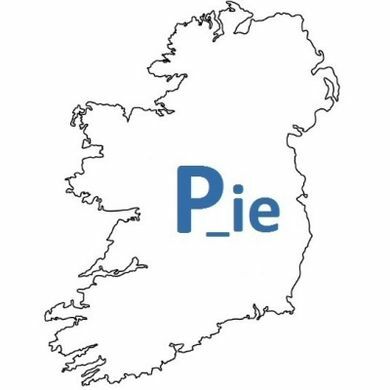 2(g) of the EU Nitrates Directive. As explained more fully in SCOPE Newsletter n°100, current interpretation of this article limits the use of recycled nutrient products (containing nitrogen and produced partly or completely from livestock manure) to lower levels than use of virgin mineral fertilisers, in some circumstances in Nitrate Vulnerable Zones, so posing an obstacle to the development of nutrient recovery from manures. Jan Huitema, Member of the European Parliament (Netherlands) underlined that this Nitrates Directive article is an obstacle to manure nutrients recycling and asked the European Commission to develop “End-of-Manure” criteria. products with high organic content. develop a standardised protocol for testing nitrogen release, based on lab analyses and field tests of manure-recovered nutrient products and reference mineral fertilisers. The JRC is currently developing the methodology, which will be presented to the Nitrate Experts of the Member States early June. Comments will be welcome on the proposed methodology until July. The final methodology will be presented to the Nitrate Experts group early September. To input data and information to this JRC study, see articles at top of this Newsletter. - limit specifications (cut-off values) for product characteristics are necessary to ensure clarity about what is or is not covered by a given product vocabulary. - the SYSTEMIC product fact sheets (online at www.systemicproject.eufor comment) provide averages for product specifications. The range of value giving components will be reported in a Systemic report, which will also give an overview on available information on agronomic effectivity and environmental risk assessments. - due to the relatively high water content of mineral concentrates, these are currently applied close by the manure processing plant. There is hardly any cross-border trade. Mineral concentrates could also be used to blend with other more concentrated mineral fertilisers to achieve a more consistent and more concentrated product. - ammonium products recovered from manure evaporation and from air purification. - copper, zinc and cobalt are all micro-nutrients, so should not be limited but should require labelling above specified levels. - other questions (beyond the status of certain products) need also to be addressed, for example a consistent position between Member States / NVZ Action Programmes on the calculation of Nitrates Directive spreading limits for digestate where manure is only a part of the digester input, mixed with other materials, and more generally harmonisation of definitions and implementation. collect information and prepare Fact Sheets on digestate, liquid fraction of digestate, ammonia waters (from evaporators etc.). 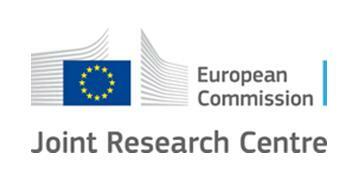 All interested parties are invited to send literature and data relevant to this JRC study to SYSTEMIC and ESPP (by 29th July), who will collate and transmit to JRC – see above. SYSTEMIC Fact Sheets (drafts for comment) on “Struvite”, “Ammonium sulphate”, “Ammonium nitrate”, “Mineral concentrate” are on this website under Downloads -> Publications. A review summarises characteristics, fertiliser performance, nutrient leaching and toxicity of recovered struvites. This references 45 published papers, so is not complete: ESPP has identified a higher number of papers on fertiliser performance alone, and also reports on toxicity which are not included. However, the review is interesting because in addition to looking at phosphorus fertiliser performance of struvite, it also considers nutrient (N, P) leaching risk, impact on plant uptake of other nutrients (N, Mg, K, Ca, Fe, Mn, Co, Mo) and impact on heavy metal uptake. No overall conclusions are drawn for most points, but the review shows that in most comparison experiments, phosphorus fertiliser effect was as good as mineral fertilisers. In the limited studies considered, no toxicity of struvite was found, and also it does not burn plants when applied at high concentrations. No pathogens were found in recovered struvite in the studies cited. Heavy metal uptake from struvite is concluded to be lower than from mineral fertilisers. Concerning uptake of other nutrients: struvite results in magnesium uptake (logically, because of magnesium in struvite) and can reduce calcium and potassium uptake. Nutrient leaching is identified to be much slower than from mineral fertilisers, and to be related to the rate of nitrification in soils. For three questions further research is considered to be needed: quantification of nitrite and nitrate from struvite application, leaching mechanism in soils with plants (rhizosphere) and possible impact of high struvite application levels on calcium and potassium uptake by crops. This stakeholder event, at IFAT Munich, saw presentations on nutrient recycling technologies, decentralised sanitation and water reuse, from research to implementation. Evdokia Achilleos, European Commission – EASME, indicated EU policy initiatives underway including the Circular Economy Package (see the EU Circular Economy Stakeholder Platform), Critical Raw Materials, the Fertilisers Regulation, the Water Reuse Initiative (proposing quality requirements for agricultural irrigation, see above), assessment of the Urban Waste Water Treatment Directive, and water policy REFIT (public consultation in coming months). She presented the Horizon 2020 funding opportunities to support these objectives, with a number of projects already running relevant to nutrient recycling (SMART-Plant, Incover, Decisive, Systemic, Run4Life, Water2Return, SABANA) and new ones now launching (Cinderalla – includes phosphorus in sludges, Houseful – includes household nutrient cycles, Hydrousa – fertigation, NextGen – circular economy for water, ProjectO – circular water). Further projects will be funded in 2019 under water smart economy theme. The relevant SC5 Infoday is in Brussels, 11-12 September. Paul O’Callaghan, BlueTech Research, indicated that start-up technology success in the water industry is 50% lower than most sectors. Despite this obstacle, struvite recovery has developed rapidly, but further scale-up is necessary to make it attractive for investors. Andrea Gysin, Ostara indicated that their business model aims to soon reach a level of fertiliser product delivery which will make marketing and distribution profitable. Daniel Frank, German Phosphorus Platform (DPP), summarised the new German regulations requiring phosphorus recovery from sewage works > 50 000 p.e. by 2029. To simplify, there are two main possible routes: phosphorus recovery from ash after mono-incineration (80% P-recovery required) or from the sludge/water treatment phase (50% P-recovery, or reduction of P to < 20gP/kgDM). However, the definition of “DM” (dry matter) is unclear (depends on whether measured before or after processing) and may be susceptible to modification, so that adopting the sludge/water route option poses risks. This option also poses questions, because it may exclude processing systems which both recover phosphorus and reduce organic carbon in the sewage sludge. Christian Kabbe, Isle Utilities, presented his global phosphorus recovery inventory and discussed P-recovery, from the German utility perspective, with focus on the ash route which is advantaged by the new German sludge regulation and by competition of sewage sludge with farm residues such as manure. Sewage sludge (mono)incineration ash contains around 9% P and Germany will double by 2030 its production of sewage sludge incineration ash to produce more than 500 000 t/y of ash (containing ~45 000 tP/y). He summarised several process systems today available for P-recovery from ash and not covered by other presenters: Euphore (which combines incineration and P-recovery, see SCOPE Newsletter n°126), Glatt Seraplant (a process not removing heavy metals) and EasyMining’s Ash2Phos (acid leaching then purification). He underlined the necessity for the final product to be recognised by users (industry or farmers) and marketable with limited resource consumption and low residual waste streams. 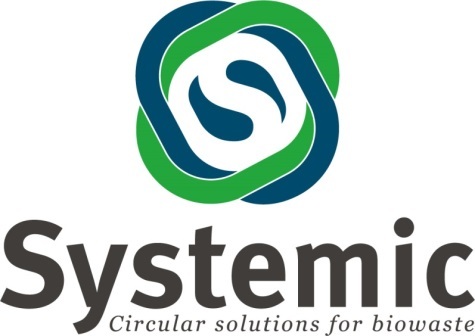 Andrea Gysin, Ostara: currently 14 struvite plants operating worldwide, including the world’s biggest struvite plant, (see SCOPE Newsletter n°124), plus 3 more in construction. Capacity 17 000 t/y of Crystal Green struvite. Sold as a quality fertiliser with agronomic benefits (not water soluble so reduced phosphorus run-off). Bernhard Ortwein, CNPCycles: AirPrex® struvite recovery before sludge dewatering, offering treatment plant operating and dewatering benefits, either recovered as a fertiliser with some organic content or stays in sludge sent to incineration. Currently are 7 full scale plants worldwide in operation. CalPrex™ brushite (calcium phosphate) technology under development. Andreas Rak, Remondis: Tetraphos process for phosphorus recovery as purified phosphoric acid (close to technical grade acid quality) from ash. A 20 000 ton ash/year plant is under construction in Hamburg and should be operational in 2020 (see SCOPE Newsletter n°126). Tanja Schaaf, Outotec: AshDec process, using sodium sulphate, enables phosphorus recovery from ash as calcium sodium phosphate (an effective fertiliser product) with removal of heavy metals. The CLOOP project aims to demonstrate 95% P-recovery from ash, with a fertiliser product which releases nutrients according to crop needs and has low heavy metal levels, and energy efficiency by integration into incineration plants. Water2Return: integrated solution (sequencing batch reactor, reverse osmosis, fermenter, anaerobic digester, algae pond) for slaughterhouse wastewater treatment and recovery of nutrients as fertiliser in Seville (ES). Other presentations addressed the potential for nutrient and water recovery in decentralised sanitation systems and with source separation of faeces / urine / kitchen wastes: Grietje Zeeman (LeAF Wageningen), Joerg Londong (TU Weimar), and Gunter Langergraber (BOKU Vienna). The latter announced a new EU COST network action starting in 2019 “Circular City Re.Solution”, implementing nature based solutions in urban settings aimed at resource recovery. Over 200 people attended the session on tighter sewage phosphorus removal requirements and phosphorus recycling at IFAT 2018, Munich, organised by DPP (the German Phosphorus Platform) and ESPP (European Sustainable Phosphorus Platform). Monika Kratzer, Bavarian State Ministry of the Environment and Consumer Protection, noted that Bavaria depends strongly on imports of raw materials, including phosphorus for agriculture. Phosphorus recycling from sewage can contribute to reduce this dependency. The new German legislation sets objectives, and it is now important to identify which technologies are effective. Pete Vale, Severn Trent Water UK, summarised key results of the UK national water industry trials of technologies to achieve very low phosphorus discharge limits, which will progressively come into force because of the EU Water Framework Directive (WFD). Limits of 0.2 mgP/l will be introduced in the next couple of years, with further tightening possible in the future. Considerable progress has been made in reducing phosphorus emissions from sewage works in the UK, with a 60% reduction 1990-2009, with over UK£ 2 billion investment, but phosphorus remains the most common cause of WFD quality objective failure in England. The industry national trials tested optimisation of existing technologies in place, new technologies already operational at sites elsewhere in the world and “novel” technologies. Conclusion is that optimisation can reduce discharge to 0.5 mgP/l, but not 0.1 mgP/l. Some of the new and novel technologies can achieve 0.1 mgP/l, but not always reliably without other installation and operational changes. Full results will be published shortly, including discharge performance data, whole life cost and carbon/energy costs. These will be used both to define the UK water industry’s investment cycle and to input to defining the Environment Agency discharge permitting regime. Daniel Klein, Emscher Genossenschaft / Lippeverband, Germany, indicated that this water board is also preparing for 0.1 mgP/l discharge limits, and is looking at costs and performance, especially of “add-on” technologies (filtration/flocculation). Currently around 90% of the board’s total sewage inflow phosphorus goes to sludge (and 10% is lost in discharge), and nearly all sludge goes to mono-incineration. Important questions need to be addressed concerning the impact of tighter P-removal on P-recovery, possibly synergies and costs, with major investments expected in the coming ten years. The water board is testing different approaches for phosphorus recovery with the aim of identifying cost-effective solutions. Christian Hubert & Christian Schaum, Munich Bundeswehr University, presented some general ideas on the theoretical value of resources in sewage (based on Westerhoff 2015), energy and interest of cooperation between sewage treatment organisations on sludge processing/incineration. Bruno Barillon, Suez, indicated that the company’s objective is to improve economic sustainability of sewage treatment by recovery of resources, water reuse and energy production – but that sludge management will still represent a significant net cost. Suez’ Phosphogreen struvite recovery process, enables recovery of 15-45% of inflow phosphorus in biological P-removal sewage works, with 5-10 year RoI (return on investment) resulting from struvite sales (350€/t in Denmark) and 15-50% reduction in ferric consumption, as well as reducing the environmental footprint (-10% CO2). Suez has now five references: three plants in Denmark (Aarhus, Herning, Marselisborg ) and two in France (Villiers Saint Frédéric, Sausheim). See SCOPE Newsletter n°121. Ralf Czarnecki, Remondis (Rethmann group), indicated that the company manages some 1.5 million ton/year of sewage sludge (wet weight of dewatered sludge), of which 1.2 mega ton is incinerated and 0.3 mega ton is used on land. He presented the company’s Tetraphos process, for phosphorus recovery from sewage sludge mono-incineration ash. A 20 000 ton ash/year Tetraphos P-recovery plant will be operational in Hamburg in 2020: see summary above and in SCOPE Newsletter n°126. Further pilot trials are planned with several water boards including Emscher/Lippeverband. Mathias Staub, Veolia, considered that the new German phosphorus recovery legislation will oblige construction of some new sludge mono-incineration capacity, but that in some regions continuing use of co-incineration or cement works disposal will be economically and environmentally preferable, subject to recovering phosphorus upstream in the sewage works. Veolia’s PhosForce system, especially adapted for medium size works (50 – 500 000 p.e. ), aims to achieve more than 50% P-recovery, by combining bio-acidification of sludge upstream of anaerobic digestion and struvite and/or brushite (calcium phosphate) recovery (StruviaTM system). A 3 m3/day pilot is operational at Schönebeck and a full scale plant is planned for 2019. The system is designed to operate with both chemical and biological P-removal sludges with limited use of chemicals, to enable low phosphorus discharge levels and to facilitate nitrogen recovery by stripping. Cooperation between water boards and WWTP-operators is crucial to identify and implement economic and operational solutions to meet the new phosphorus removal and recovery regulations. “Phosphorus Special IFAT 2018. Phosphorus removal, phosphorus recycling and the circular economy: contradiction or opportunity?”, organised by DPP, ESPP with IFAT, the Bavarian State Ministry of the Environment and Consumer Protection and the German Federal Ministry for the Environment, Munich, 17th May 2018. 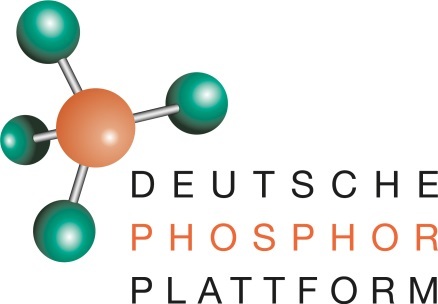 Copyright © 2018 European Sustainable Phosphorus Platform, All rights reserved.